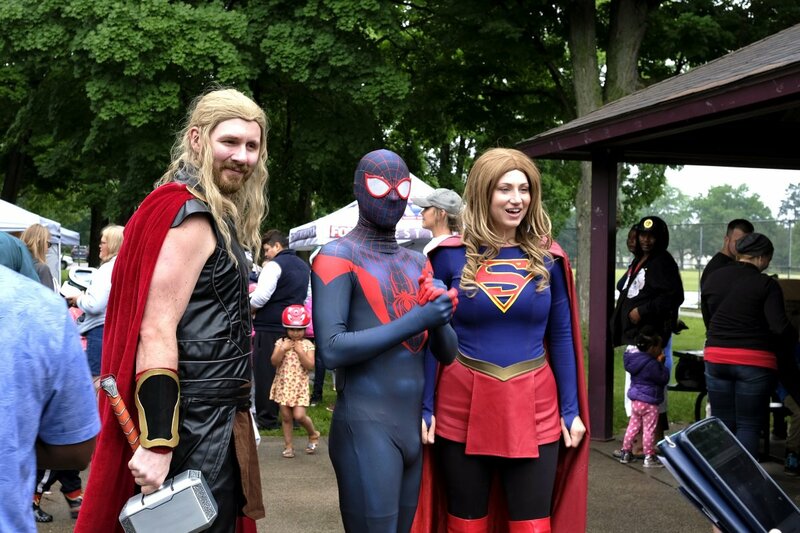 Springtime in Michigan is often unpredictable. With gloom and rain in the forecast, many wondered if Saturday’s Lids for Kids Grand Rapids event would continue as planned. Despite a downpour right at setup, volunteers from Sinas Dramis Law Firm and other co-sponsors and community partners began prepping for the fifth annual Lids for Kids event in Grand Rapids as eager families began lining up. 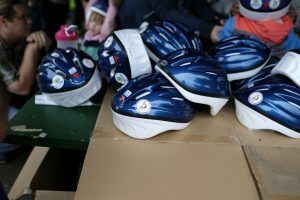 In its fifth year, Lids for Kids Grand Rapids was the most successful yet. 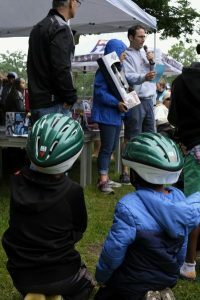 With a dedication to promoting bicycle safety and preventing bike-related brain injuries, Sinas Dramis and co-sponsors Brain Injury Association of Michigan (BIAMI), Mary Free Bed, Grand Rapids Public Schools, Hope Network, Grand Rapids Fire Department, Fox 17, and Garfield Neighborhoods Association fitted a total of 546 kids with free helmets. But the fun didn’t end there with tons of new additions to the 2018 event. 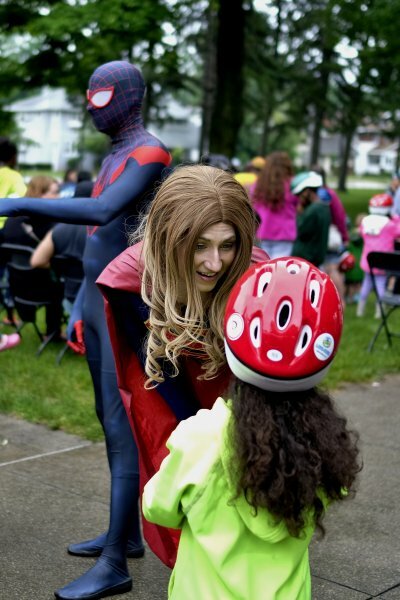 This was a year unlike any other for Grand Rapids. For the very first time, Thor, Super Girl, and Spiderman from Cosplay Crusaders all made an appearance and were a huge hit with the kids! 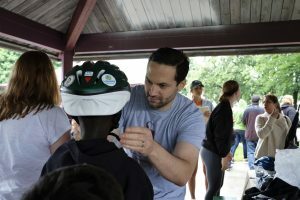 BIAMI hosted a popular face painting booth and prize game, while Grand Rapids Public Schools offered wheel decorations and Hope Network had coloring pages. As children were fitted with a free helmet, they were also entered into a raffle for a chance to win one of 19 free bikes donated by local organizations and individuals. 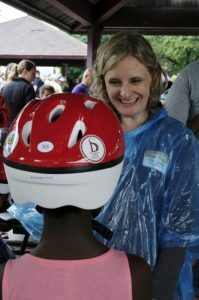 Mayor Bliss also made an appearance and Boston Square Community Bikes offered simple tune-ups and bicycle inspections. 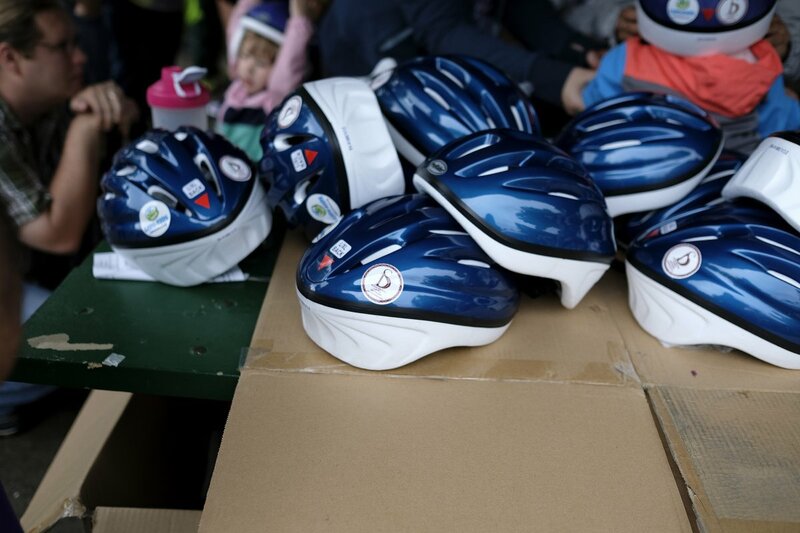 A big thank you to everyone who was involved in this year’s Lids for Kids Grand Rapids! It was certainly such a success due to the dedication of the many volunteers, organizations, and individuals who donated their time and talents to make the day possible. 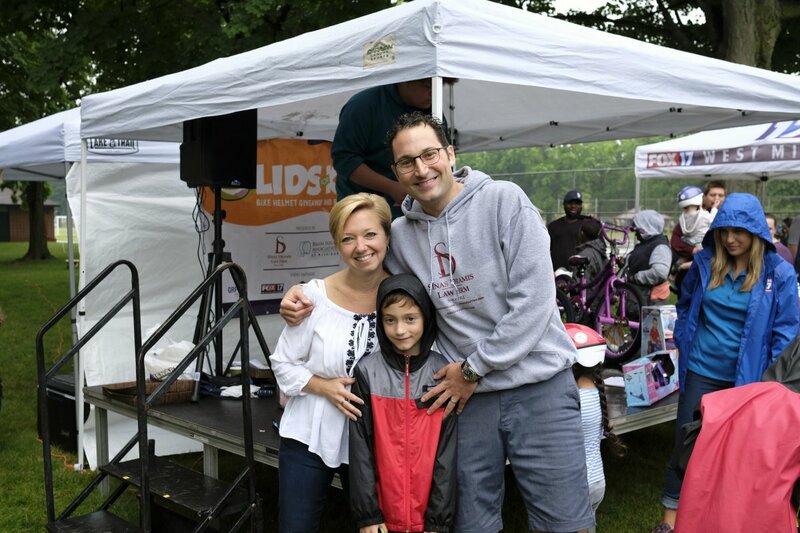 Lids for Kids Grand Rapids was a huge success, with or without rain. 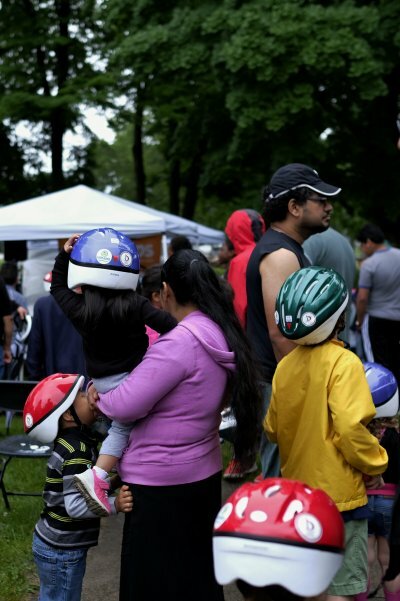 The best part was the happy, smiling faces of the kids and their excitement about their brand new helmets!